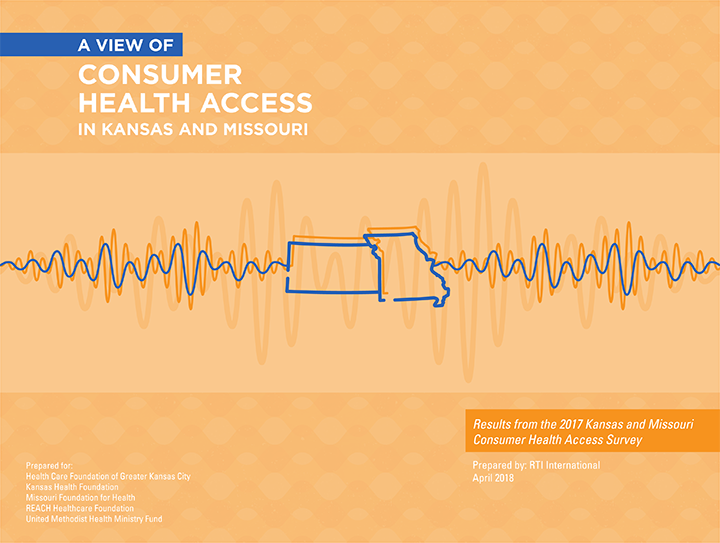 The Kansas and Missouri Consumer Health Survey was designed to provide a clearer picture of access to health care in the two states from the perspective of consumers. Five health foundations that work in Kansas and Missouri collaborated in 2017 to conduct the two-state survey, which focused primarily on the health and unmet needs of adults ages 19-64. The content covers insurance status; access to health, mental health, and dental coverage and care; unmet needs for chronic conditions; the prevalence of medical debt and more. A total of 4,274 adults and 1,159 children completed interviews between September 2017 and January 2018. The foundations – the Health Forward Foundation, Kansas Health Foundation, Missouri Foundation for Health, REACH Healthcare Foundation and United Methodist Health Ministry Fund – worked with RTI International to design and administer the survey. For more information, contact Health Forward Communications Officer Jennifer Sykes.